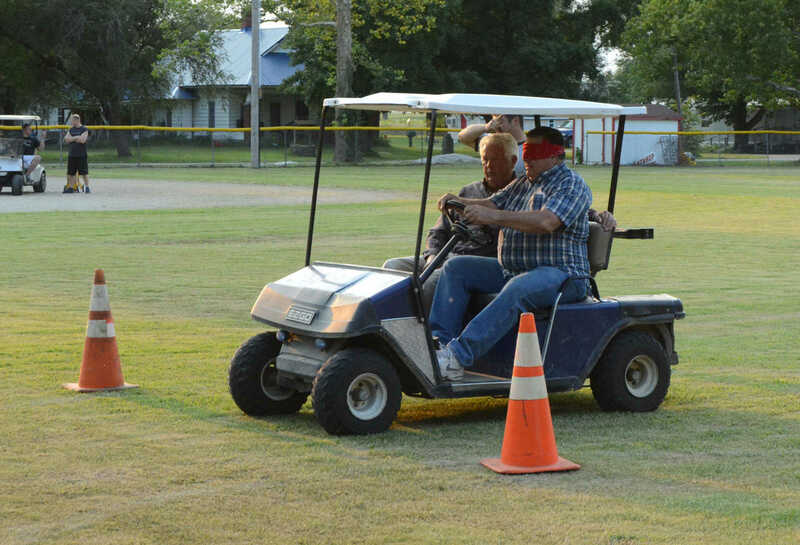 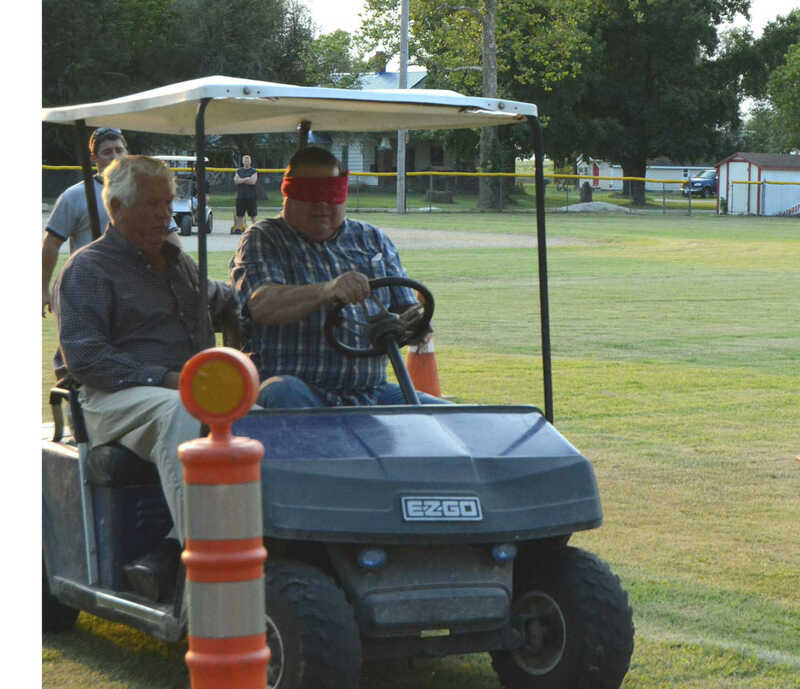 Blindfolded Don Bigelow reaches the finish as Charles Cole gives him directions in the golf obstacle course at the Sheldon Old Settlers Picnic on Thursday. 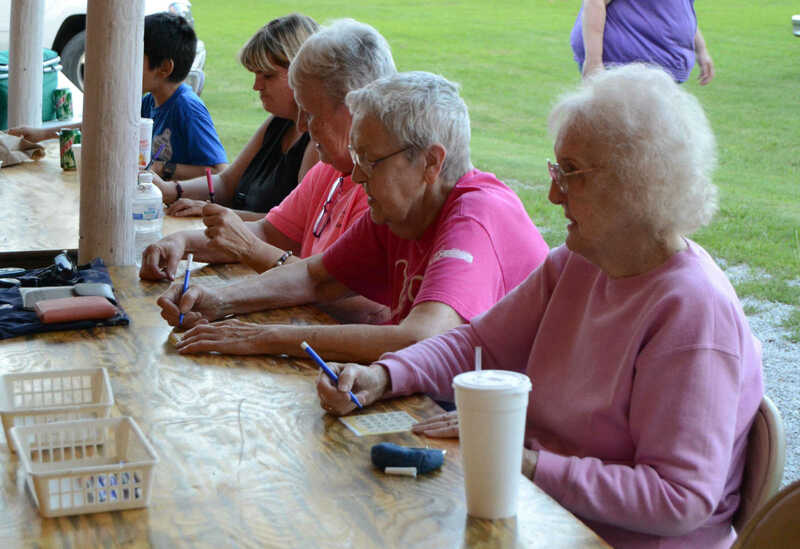 From right, Betty Smith, Marjorie Hoffman, and Sherry Gremmel play bingo at the Sheldon Old Settlers Picnic on Thursday. 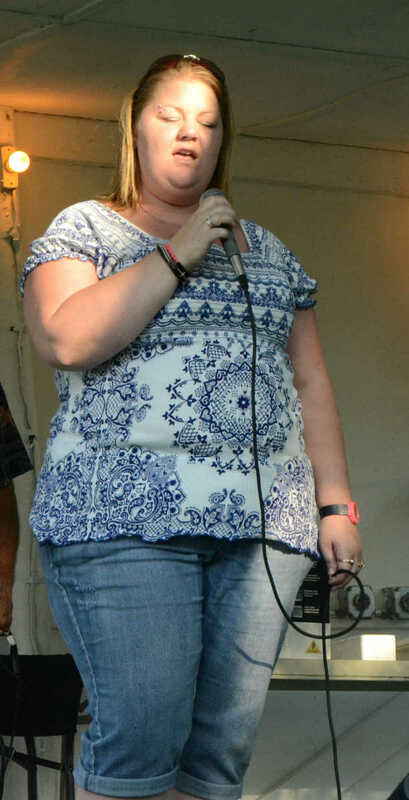 Angie Patrick performs the Star Spangled Banner at the Sheldon Old Settlers Picnic on Thursday. 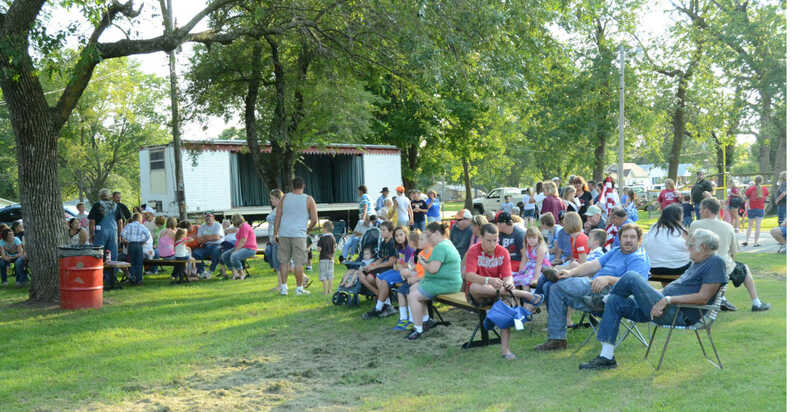 A crowd gathers for the Sheldon Old Settlers Picnic opening ceremony Thursday. 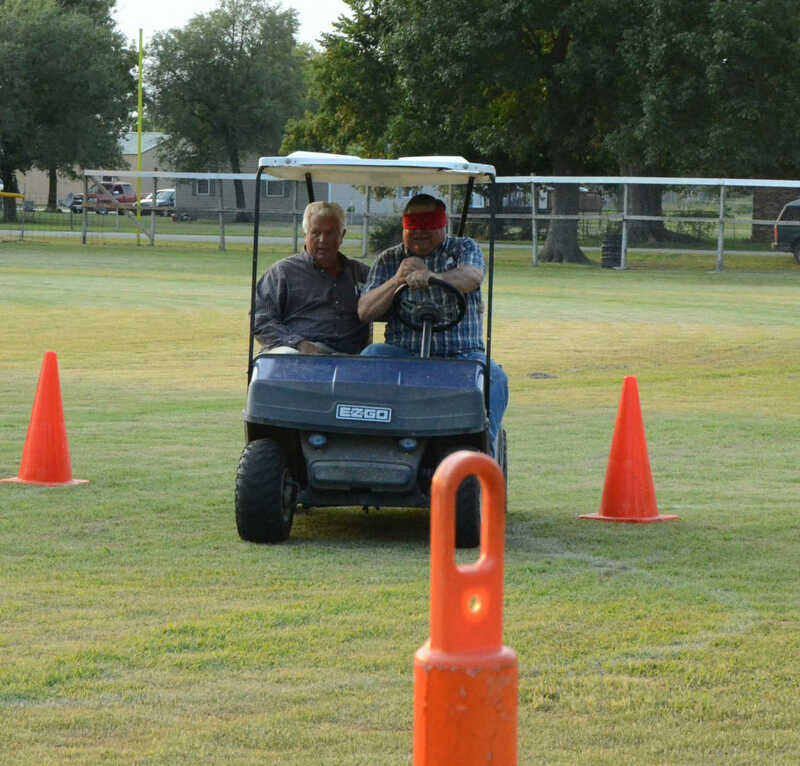 Charles Cole gives blindfolded Don Bigelow directions in the golf obstacle course at the Sheldon Old Settlers Picnic on Thursday. 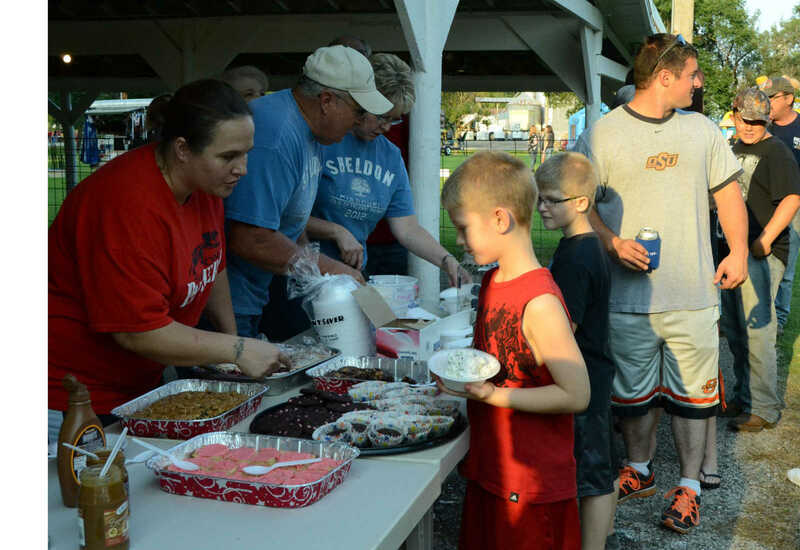 Valarie O'Connor asks Kaeton Pagacz if he wants a cookie at the Sheldon Old Settlers Picnic Ice Cream Social on Thursday. 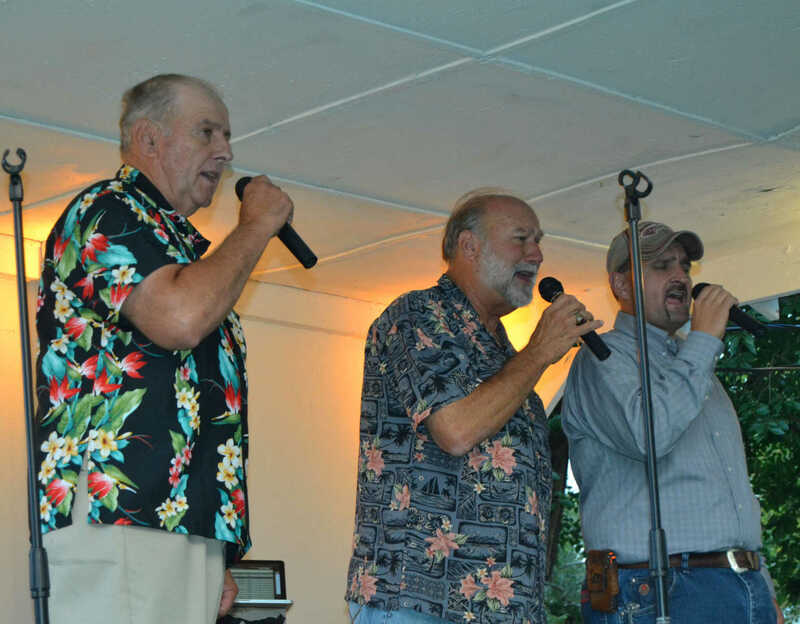 Rayburn Mein, Wayne Leavell and Chris Himer of Kentucky Road Quartet perform at the Sheldon Old Settlers Picnic on Thursday. 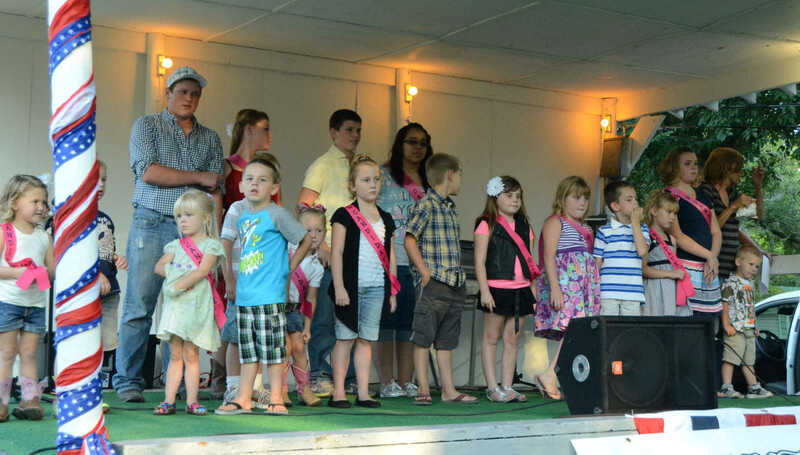 The Queen and Princess candidates with their escorts gather on the bandstand at the Sheldon Old Settlers Picnic on Thursday. 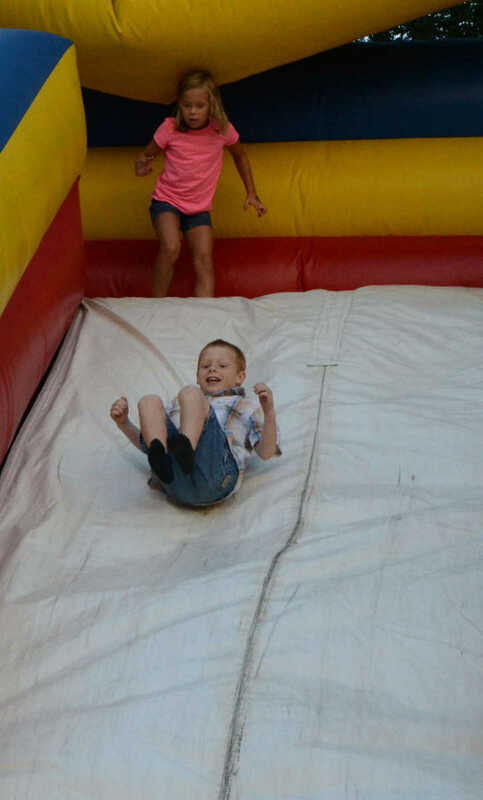 Lane Jones slides down the inflatible slide at the Sheldon Old Settlers Picnic on Thursday.